Your front doors is as important as the interior of your home for two main reasons. 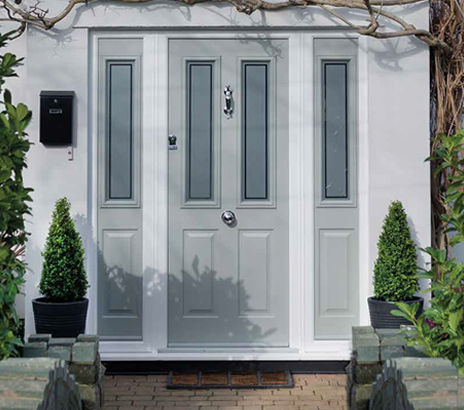 Style and looks, your front door is the first thing people see when visiting your home, which is why all our external doors are available in a wide range of colours and styles to suit any taste and budget. Secondly: Security, the doors we install offer cutting edge security features including a multi point locking system which are rated as some of the strongest on the market. We have been installing front doors in and around Cheshire and Staffordshire and offer FREE competitive quotes for any front doors, patio door, French door and bi folding door. You are in good hands when you buy a door from North Staffs Windows. Ask any of our customers, they come back which says a lot.